Climate change is a world-wide problem, spanning nations, time zones and environments. Challenges of such a massive scale demand a powerful and comprehensive means through which to observe, collect, and process a huge amount of data. 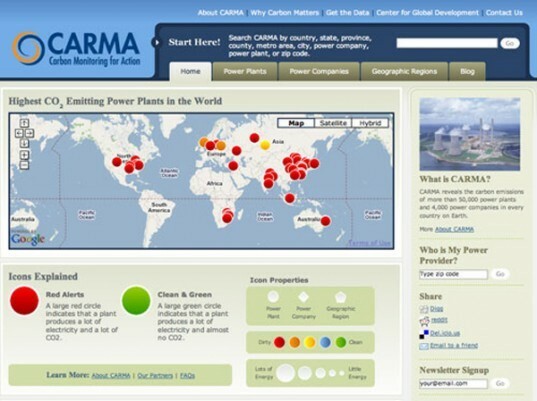 Created by the Center for Global Development, the Carbon Monitoring for Action (CARMA) is a web-based program that keeps tabs on the greenhouse gas emissions of over 60,000 plants across the globe. 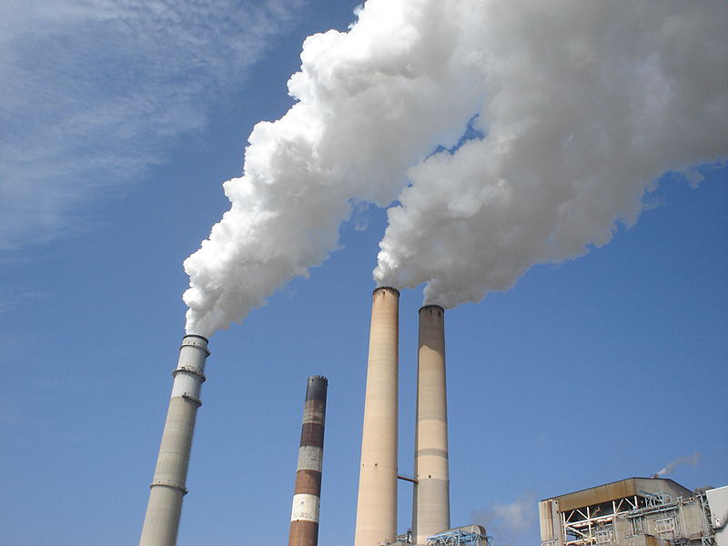 In an effort to uncover how much CO2 is being produced and where it comes from, the Center for Global Development, based in Washington D.C., has launched Carbon Monitoring for Action (CARMA). The internet tool allows users to see the quantity of greenhouse gasses coming from an individual country, state, zip code and single power plant in any given area. The Center states that CARMA is the first comprehensive inventory of its kind to address problems of this sector of the economy, and one that sheds light particularly on US industries which produce a quarter of the world’s CO2 emissions. CARMA is the work of former World Bank economist David Wheeler and is intended to influence policy decisions based on real-time, accurate information on how energy production is changing the planet. The idea of full disclosure to the public has been valuable in reducing toxic substances in the past, although there seems to be more of a problem separating energy production from CO2 than with traditional pollutants like particulate matter. Data covering 60,000 plants and reaches back to 2004 was recently used in a survey that found that a majority of the world’s nations failed in planning for an infrastructure focused on clean energy. While some pollution-control technology has made its way into many plants, the overall global trend does not look good. “Not much has changed,” said Kevin Ummel, CARMA Project Manager to Scientific American. “You get the sense that psychologically, and we may just be exquisitely designed not to deal with climate change, everyone is focused on their little piece of the pie. You’re doing what you can day by day. And the problem is that if you really think climate change is a problem, you need to start looking at solutions that are revolutionary. What we’re doing right now is not revolutionary, and frankly, I don’t know what’s going to get us out of this equation,” he said. Hopefully, much like the Landsat data compiled by Google Earth Engine cataloging the destruction of the Amazon, citizens and elected officials will be able to log onto the web and make informed decisions based on the numbers.